of Monday September 28. 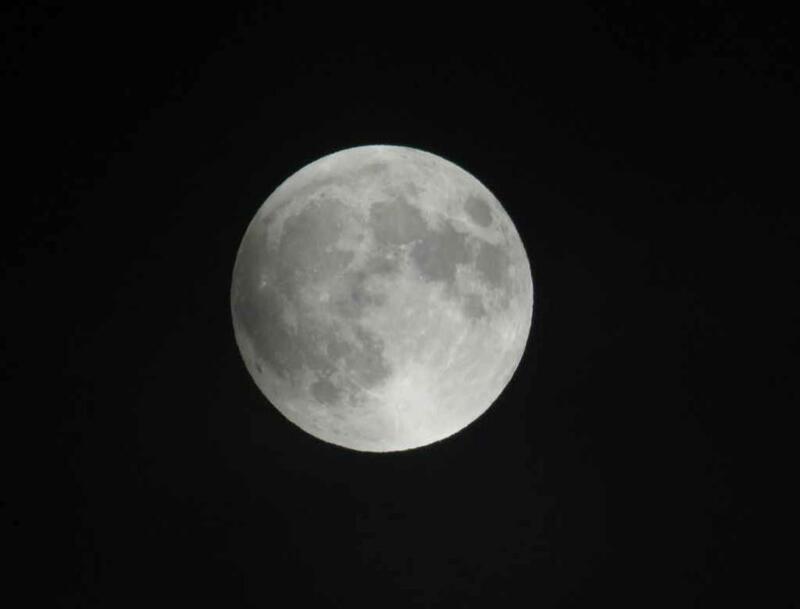 It is called Super Moon because the moon is at its closest distance to earth. camera (Canon PowerShot SX 60 HS with 65X optical zoom) with the help of my monopod. 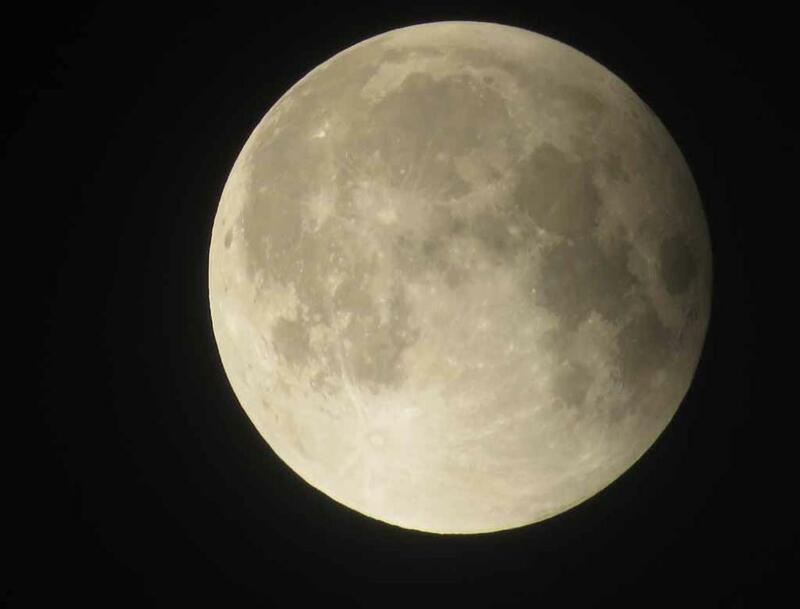 This first picture is the gorgeous view of the super moon just before the eclipse started. About half way into the eclipse. 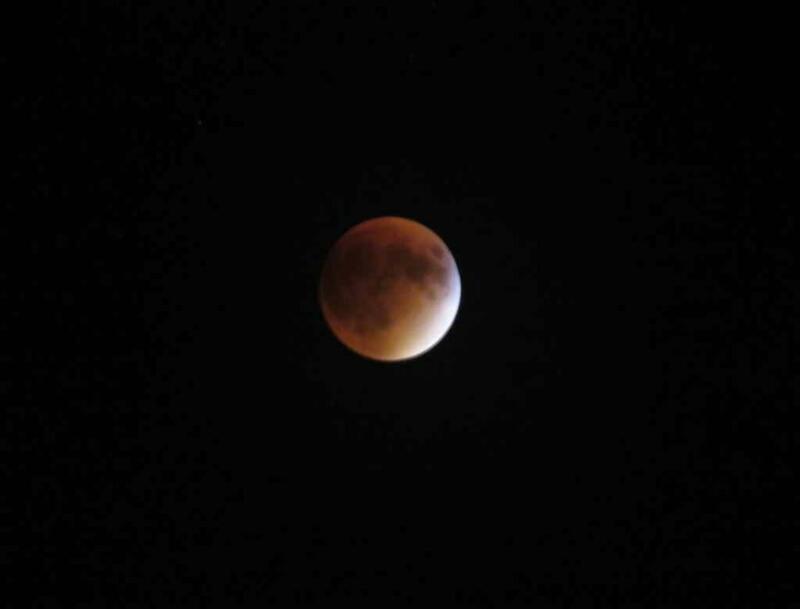 Totally eclipsed super moon in golden red color. 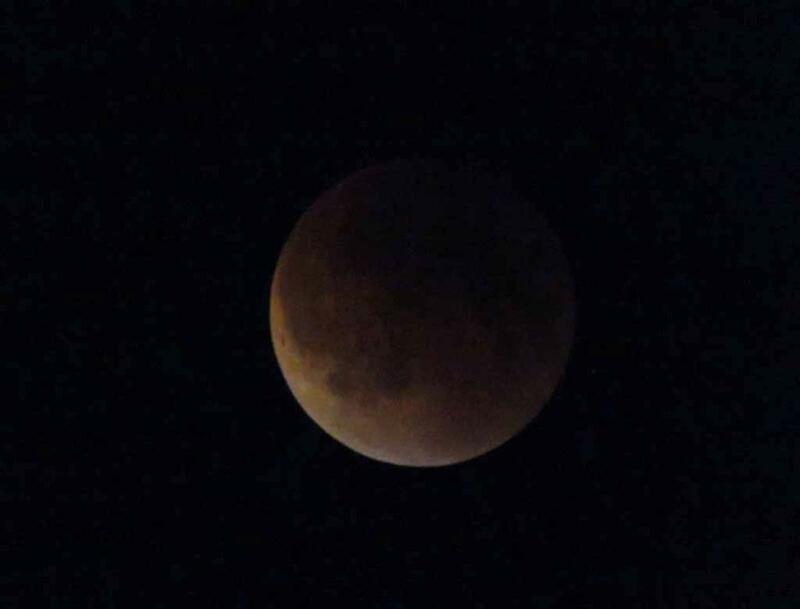 eclipse, the moon light was much dimmer, but was still visible with vibrant lovely golden-red color. deep inside the shadow of earth. leaving red and orange colors glowing on the moon. This is somewhat similar to the warm glow of low-angle gorgeous golden sunset view! 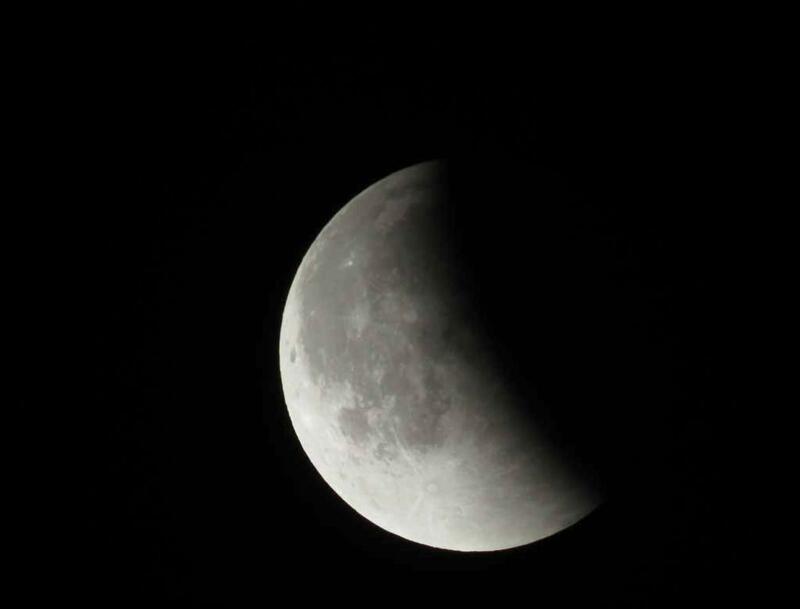 photography of lunar total eclipse. 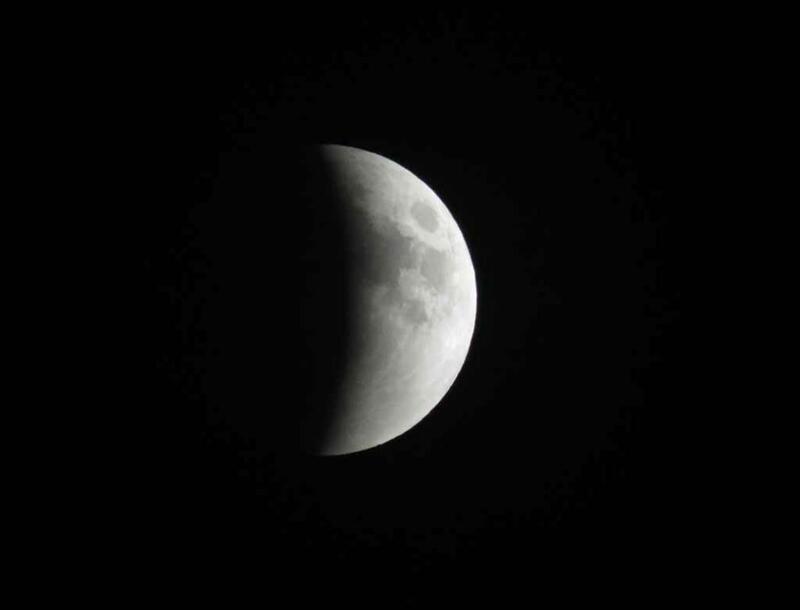 The moon started coming out of total eclipse. the brighter Crescent of the moon was over exposed. 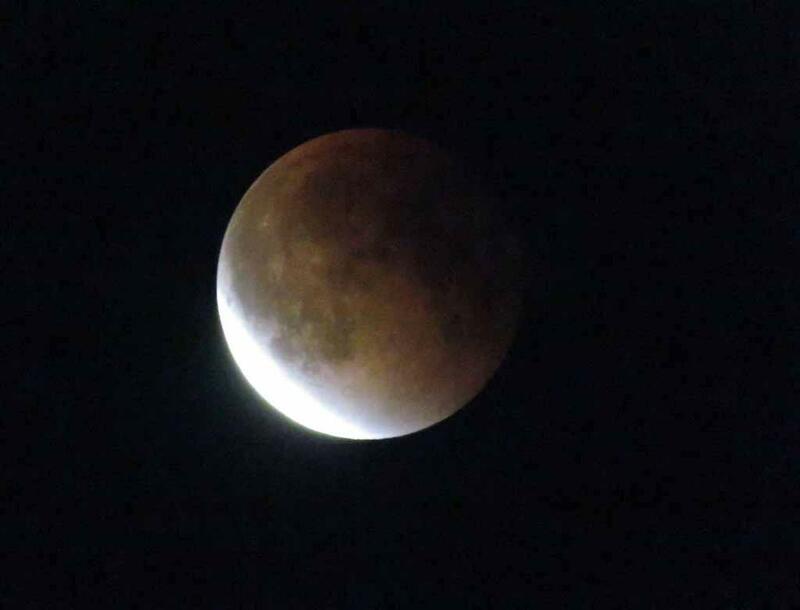 But the eclipsed side of the moon was in copper color. 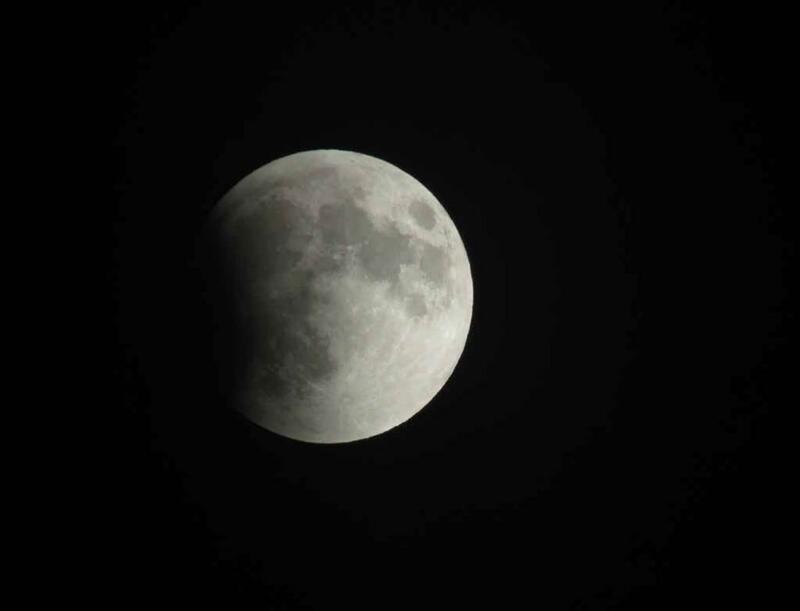 Slightly more than half way out of total eclipse. After the eclipse was over. sky was clear on December 20, 2010, but was very cloudy on September 27, 2015.